*** FREE Keyboard Dust Cover . 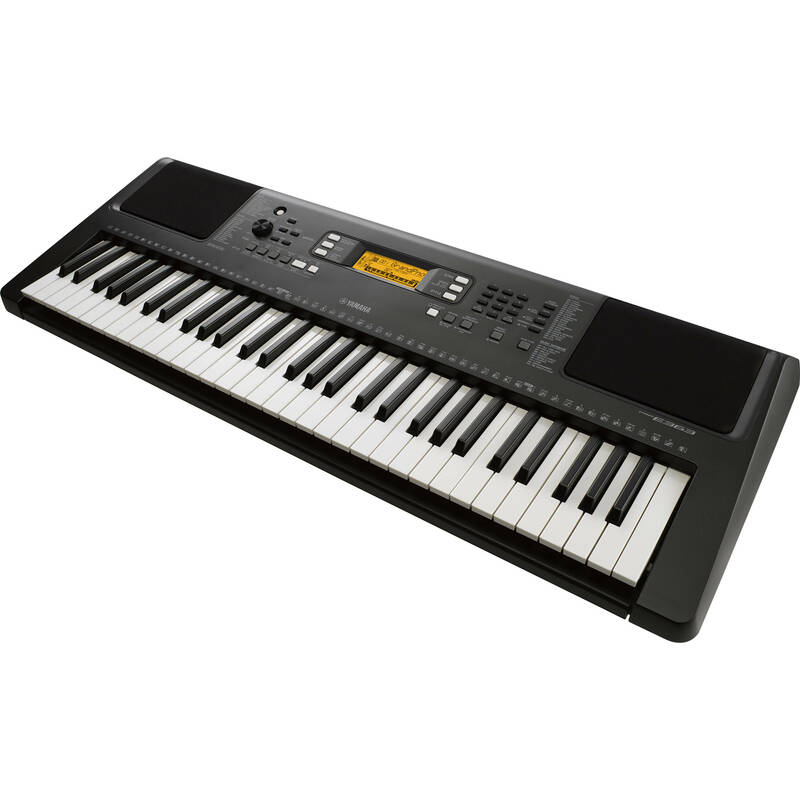 The PSR-E363 from Yamaha is 61-key, touch-sensitive key portable keyboard with 574 sounds, 165 accompaniment styles, and 154 songs. "Keys to Success" learning techniques provide deep resources for practice and education, and with an optional cable, the musical experience can be broadened by connecting to an iPhone, iPad, or iPod. Additionally, the music score for all 154 songs is available for download, which provides tips for the on-board lessons with images, glossary, and more. Use the melody-suppressor function to help you play along to your favorite songs. Simply connect any device with a line output to the auxiliary input, including a mobile device, computer, mixer, or even another keyboard. The auxiliary input can also be used to just listen to playback from the audio device. An arpeggiator further expands the keyboard's versatility. Built-in amplifiers and speakers and a wide stereo processor deliver good sound, while a headphone output provides for private practice or playing. Basic effects enhance the sounds of the instrument, and a dedicated piano button and a damper pedal input (pedal not included) deliver an authentic piano sound. A duo mode can be engaged to split the keyboard in half so there are effectively two Middle C notes, an effective way for one person to teach another how to play.